Marks 4 Dimensions 6 in. x 4 1/2 in. x 2 in. 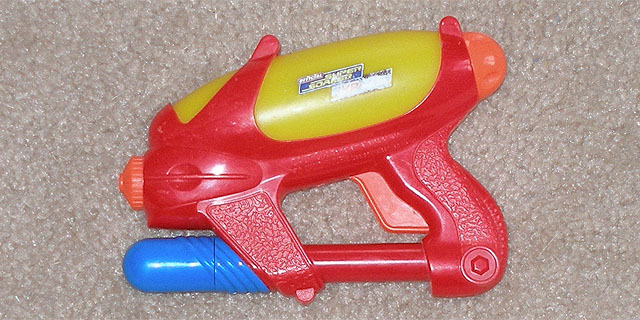 The XP 215 is one of the smallest Super Soakers ever made. It fits in your pocket without issue and actually holds a fair amount of water for its size. Performance-wise it is spectacular for its size. I recommend this gun for anyone who plays a game of Assassins because it gets Super Soaker power in the size of a squirt gun.